Seems like I’ve been hearing about quinoa everywhere lately, so realizing I’m probably far behind the times, I decided it was finally time to give it a try. 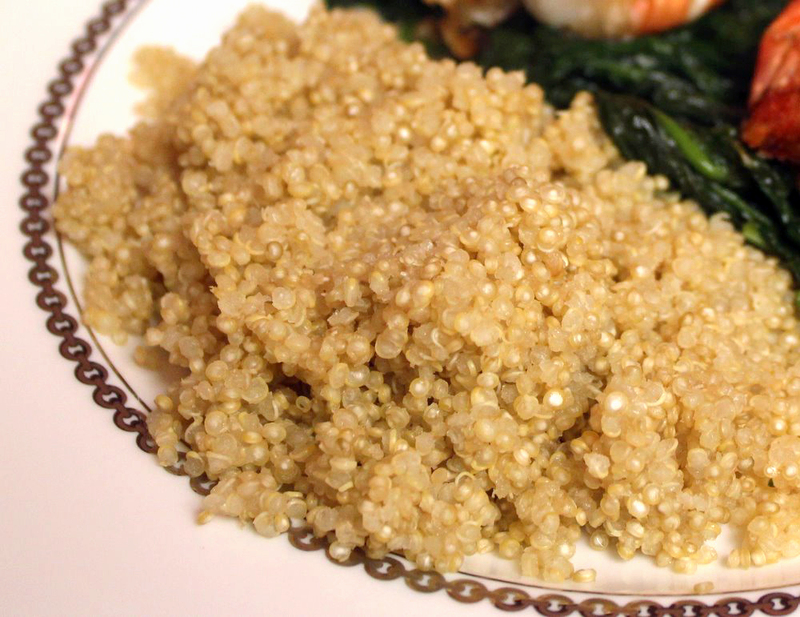 A staple food in South America, quinoa (“keen-wah”) is a grain known for its high protein content. It can be used as a side dish, where rice or pasta might ordinarily be used, or cooked as a part of the main meal. We found a box of organic quinoa at Trader Joe’s and cooked it according to package directions. Instructions stated that it could be cooked in rice or broth, and we used chicken broth, since we figured that would give the grain a greater depth of flavor. 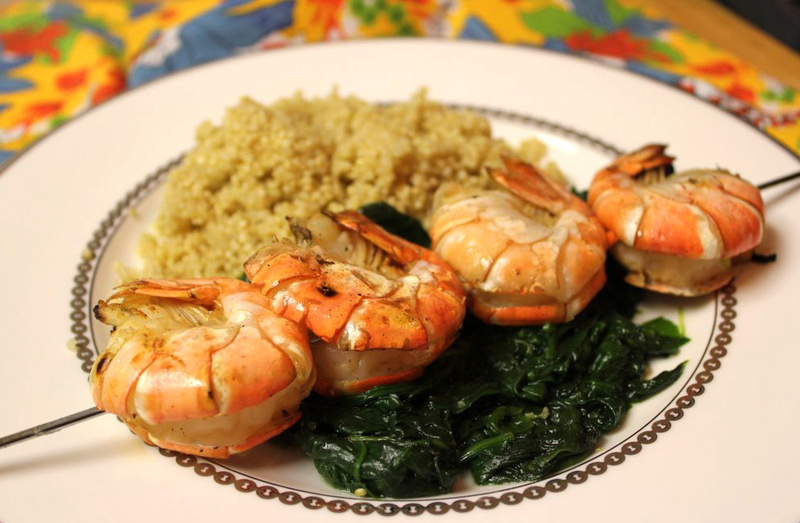 Jan barbecued colossal shrimp (the actual name given to this size of shrimp I preferred calling “monstrous”), and served the shrimp alongside sautéed spinach and the quinoa. To accompany the shrimp, he prepared a cucumber-yogurt sauce and added a handful of chopped cilantro for some more zest. Though I was in awe of the massive shrimp on my plate, my first bite was of the quinoa, since that was the item I was most curious about. Once cooked, part of the tiny round grains became translucent, and I was reminded of couscous in both appearance and taste. Despite being cooked in broth, there wasn’t much flavor to the quinoa, though it was complimentary to the other foods on the plate, and combining the quinoa with the yogurt sauce was a great marriage of flavors and textures. Even though I don’t think quinoa is going to become my go-to grain for a side dish, I was glad I could finally taste what all the buzz was about. Having something quick and easy to cook gives us some variation, and I’d like to try some additional quinoa combinations in the future.